In her new position, Beverly Coleman continues dialogue with the community. 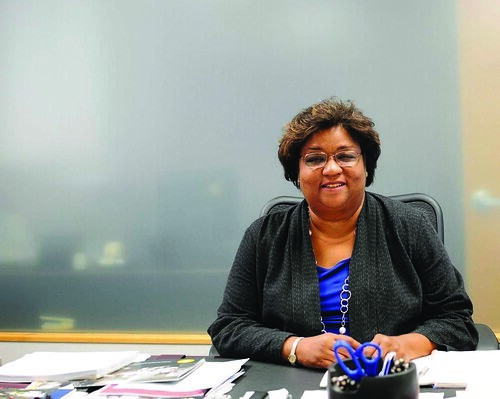 Last month, Beverly Coleman, who was recently announced the Office of Community Relations’ vice president, began to get to know Main Campus and its surrounding community. Coleman’s new position was announced by Ken Lawrence, the senior vice president for Government, Community and Public Affairs at Temple. Coleman’s new position allows Temple to open dialogue with the community that surrounds Main Campus and listen to what community members have to say. “Temple has such a spirit of volunteerism, and I’m excited to see what the university can help with in the community,” Coleman said. Coleman is an alumna of the University of Pennsylvania and the creator of NeighborhoodsNow, a nonprofit that helps bring financial assistance and increases living in urban communities that have been neglected, which she worked with for eight years. For nine months, she also worked with Urban Ventures Group, an urban consulting organization that works with nonprofit groups and foundations to help community development and revitalization. “In college, I started out wanting to do something with architecture, but I quickly discovered that I wasn’t as interested in building houses as I was helping people and the community. So my major quickly changed and brought me to where I am today,” Coleman said. “Beverly Coleman is a wonderful candidate for this position because she has a ton of experience in the Northern Philadelphia region. Her diverse background of job experiences and knowledge of working with communities will help her succeed at Temple University,” Lawrence said. MARIA POUCHNIKOVA TTN Beverly Coleman is the Office of Community Relations’ vice president. In her new post, Coleman said, she will act as a liaison between the community and the university. In this position, the university can work alongside the community with organizations and groups, such as Big Brothers Big Sisters. The main responsibility in Coleman’s new position is to reach out to the pre-existing resources at Temple and to help include the community. “An important part of my job is to integrate or synthesize ideas that are out there in the community and bring them to the university, or bring organizations and activities that are already out there to Temple and make more of an impact,” she added. Tree House Books, a small nonprofit that acts as a community library that hosts activities for children and provides after-school services, is an example of the kind of organization Coleman will be communicating with in her new position. Coleman said new community-based organizations and activities will be visible in the upcoming months as she begins her career at Temple. In the future, Coleman said, Temple will continue to be a great neighbor.